High-quality formulation based on vitamin C and magnesium, which is involved in proper bone mineralization, muscle and nerve impulses. Convenient form and route of administration! Scitec Liquid Magnesium is involved in proper bone mineralization, muscle and nerve impulses. 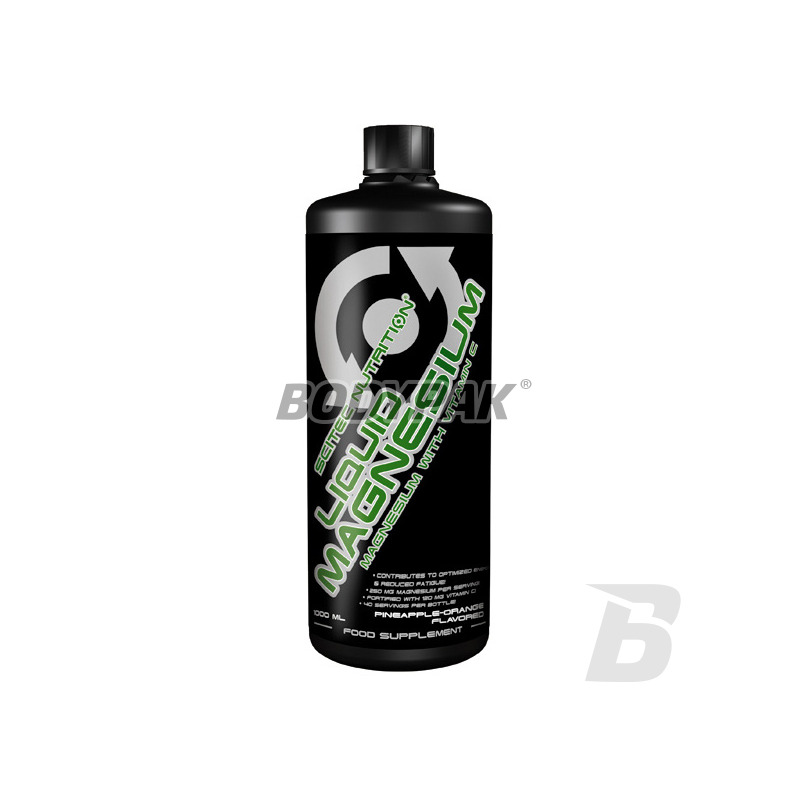 Product has been fortified for maximum absorption of vitamin C.
Liquid form ensures rapid and efficient absorption. 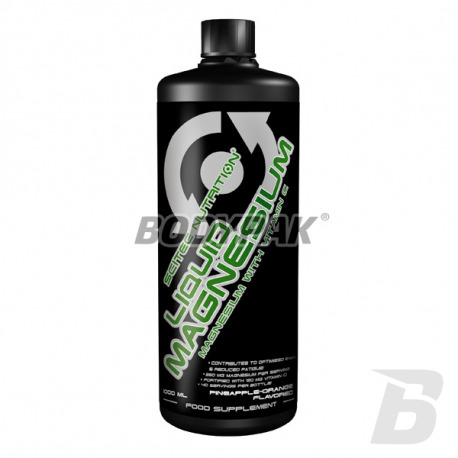 Magnesium is a part of the chlorophyll magnesium ions play a very important role in maintaining a suitable osmotic pressure of blood and other tissues, as well as maintaining an appropriate ribosome structure. 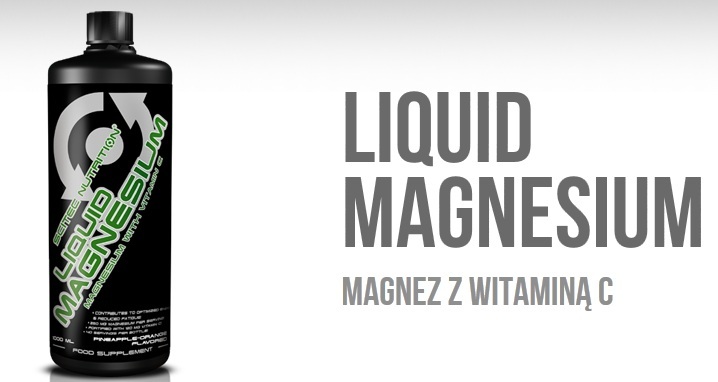 Scitec Liquid magnesium is a component of bone, it is involved in signal transmission in the nervous system and reduces the degree of hydration of colloids cell. Magnesium citrate contained in the product is a natural, organic, and most importantly fully digestible and safe form of magnesium. Tego właśnie potrzebowałem! Bardzo wygodna forma magnezu, a więc bardzo łatwe i przyjemne dawkowanie! Stosuje sobie zawsze przed snem ten magnez i budze się na prawde wypoczęty. Sen jest głęboki i spokojny, a zawsze miałem z tym problem, który w końcu udało mi się wyeliminować.